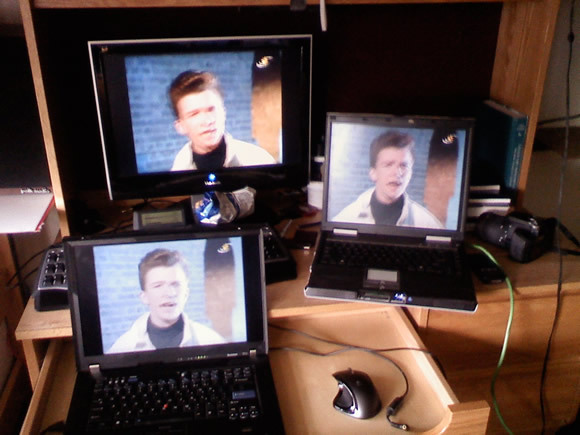 My roommate and I set up all 7 of our screens to loop the “Never Gonna Give You Up” video. It was loud, annoying, but pretty sweet. This entry was posted on Saturday, August 30th, 2008 at 11:45 am	and is filed under Fun, School. You can follow any responses to this entry through the RSS 2.0 feed. You can skip to the end and leave a response. Pinging is currently not allowed. 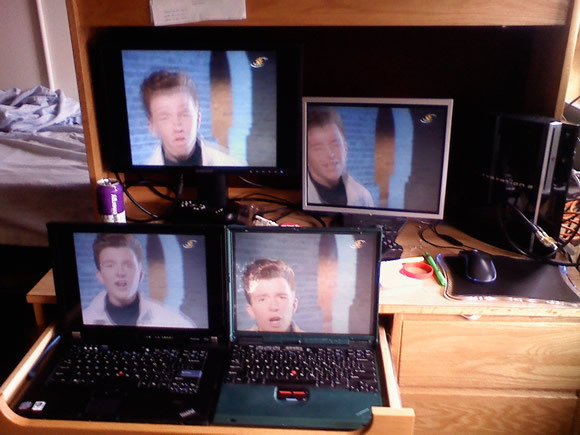 Wow once you rick roll you’ll never give it up. Man it seems like life is going well for you. Just wanted to say hi.